C.1900, two-family home on an R2, Residential Two Family zoned 0.13± acre lot in East Manchester only minutes to Downtown * 1¾ story home contains 2,203± SF GLA, 9 RMS, 4 BR, 1½ BA & full basement * Fenced-in back yard, open porch, vinyl siding & FHW/oil heat * All public utilities * Assessed value: $178,500. 2017 taxes: $4,163 * Deposit: $5,000 * Preview: Thursday, Nov.1 from 2:00 PM - 4:00 PM and day of sale from 2:00 PM. 10% BUYER'S PREMIUM PAYABLE TO AUCTIONEER DUE AT CLOSING Terms: Deposit by cash, certified check, or bank check at time of sale; additional deposit to increase total deposit to 10% of bid price due within 5 business days, balance of purchase due within 45 days from the sale date. Sale subject to City confirmation. The City of Manchester reserves the right to reject any and all bids. Property sold "AS IS, WHERE IS" subject to all outstanding liens, if any. Other terms may be announced at time of sale. All information herein is believed but not warranted to be correct. All interested parties are advised to do their own due diligence relative to the buildability/non-buildability of any lot and all matters they deem relevant. Full Description: C.1900, two-family home on an R2, Residential Two Family zoned 0.13± acre lot in East Manchester only minutes to Downtown * 1¾ story home contains 2,203± SF GLA, 9 RMS, 4 BR, 1½ BA & full basement * Fenced-in back yard, open porch, vinyl siding & FHW/oil heat * All public utilities * Assessed value: $178,500. 2017 taxes: $4,163 * Deposit: $5,000 * Preview: Thursday, Nov.1 from 2:00 PM - 4:00 PM and day of sale from 2:00 PM. 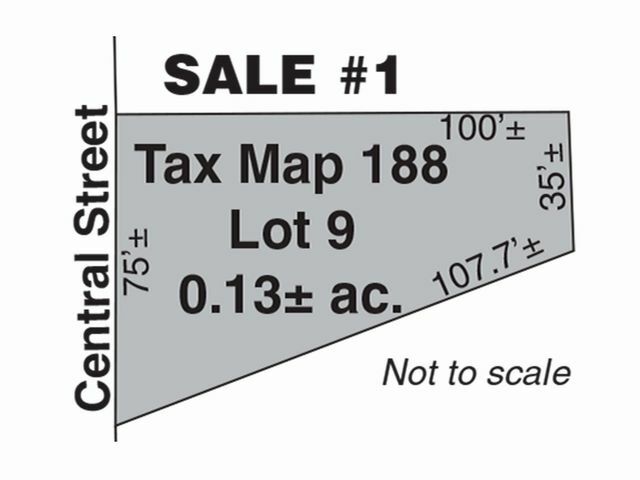 10% BUYER'S PREMIUM PAYABLE TO AUCTIONEER DUE AT CLOSING Terms: Deposit by cash, certified check, or bank check at time of sale; additional deposit to increase total deposit to 10% of bid price due within 5 business days, balance of purchase due within 45 days from the sale date. Sale subject to City confirmation. The City of Manchester reserves the right to reject any and all bids. Property sold "AS IS, WHERE IS" subject to all outstanding liens, if any. Other terms may be announced at time of sale. All information herein is believed but not warranted to be correct. All interested parties are advised to do their own due diligence relative to the buildability/non-buildability of any lot and all matters they deem relevant. *Lien information has been provided by third parties. We believe this information to be correct but do not warrant its accuracy. All information contained herein is believed but not warranted to be correct. Interested parties are advised to make independent investigations of all matters they deem relevant.